Late last year, Greece retired the A-7 from Active Duty after 39 years. Philip Stevens attended and reports on the sad but unavoidable occasion. 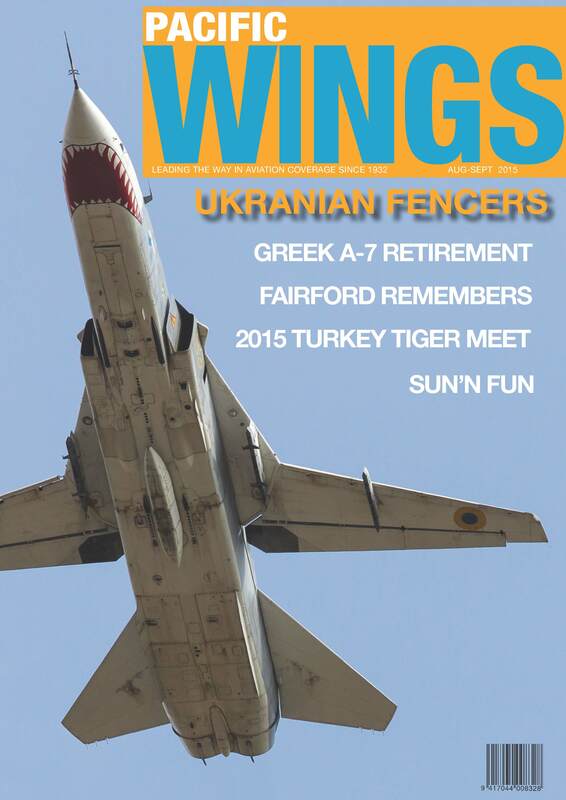 Patrick Roegies, Paul Gross and Hans Loojimans report The Su-24 Fencer has a long history in the Ukrainian Air Force. Peter Cooper takes us onboard the annual Nato Tiger Meet. Hosted this year by 192 Filo Turkish Air Force. Along ther way, visiting the Ankara and Istanbul aviation museum’s. Once again, Peter Cooper makes the annual pilgrimage to the Royal International Air Tattoo at RAF Fairford to indulge in 6 days of pure aviation. All of us like a day in the sun, and what better than a total aviation day at the same time. Peter Cooper did exactly that in Florida at the Lakeland-Linder Regional Airports Sun’n Fun day.